A deck is the perfect structure to meld indoor comforts and outdoor splendor. But in the wrong hands, this year-round entertainment area will turn into a lifelong headache. Paul Construction and Awning is a professional deck construction company with decades of experience helping residents unlock their homes’ full potential. You can trust our pros to transform your outdoor space. Not only will we customize our designs to suit your needs and budget, we will also source only the sturdiest materials to ensure you are getting the best in quality, durability, and economy. Get started today; call 610-287-1623 and ask for Paul. It takes years to develop an in-depth understanding of the materials vital to building a beautiful custom deck. But many contractors are lacking valuable knowledge integral to creating durable, easy-to-maintain outdoor structures. Fortunately, the crew at Paul Construction has spent more than 25 years honing their craft, equipping us with the necessary expertise to create the ultimate entertainment area. A portfolio is proof that a company can deliver on its bold promises. You should never hire a contractor who cannot show you evidence of previous projects. 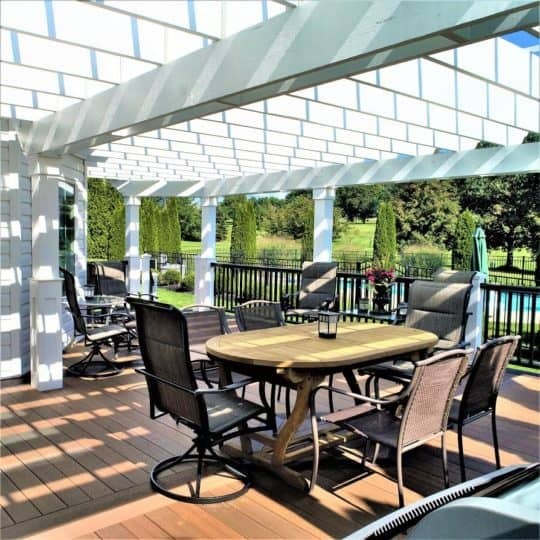 At Paul Construction, we take pride in every one of our projects, and you can browse through just a few of our most recently completed decks, sunrooms, and more by clicking here. Cutting corners and investing in cheap materials will always result in a bad product. On the surface, these decks may look the part, but this tacky timber isn’t built to last. Over time, these outdoor structures will decay and degrade before eventually collapsing under your own feet. At best, you’ll have to foot the bill of frequent repairs; at worst, someone could be injured when the wood eventually turns to splinters. The pros at Paul Construction use only the highest quality of materials to ensure your deck will serve its purpose for years to come. We can also construct your deck using a wide variety of materials, including composite decking. Your hunt for the perfect deck construction company ends here. Paul Construction and Awning will create a durable, stylish outdoor structure that will enhance every square inch of your landscape. Call 610-287-1623 to get a quote.